Limited Depth of Field in Thermography | Idaho Airships, Inc.
FLIR T1020/36mm (28°HFOV), Low Contrast Monochrome Palette. The uncommon 21.2mm/45°HFOV lens is fixed at f1.1. f1.2 is considered extreme in visible band photography; the limited Depth of Field at that ratio is regularly exploited and the associated imaging penalties (MTF, TCA, etc.) condoned. Such a large aperture far exceeds that required by phase detection autofocus at ~555nm, but with much less energetic LWIR such large apertures are compelled even with respectable transmissive performance of Germanium (Ge). 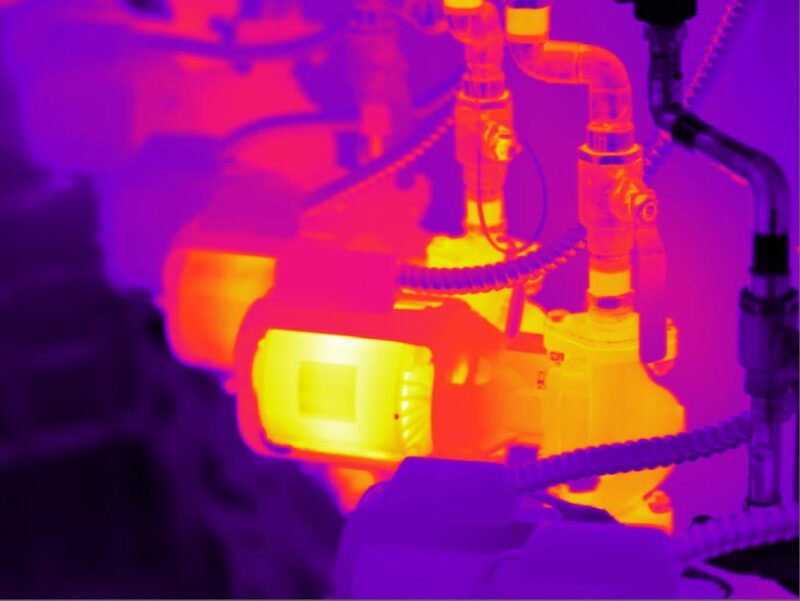 FLIR T1020/36mm (28°HFOV), Low Contrast False Color Palette. Low contrast palettes-including the more forensically sound Viridis palettes-offer no genuine therapy for limited DOF’s. 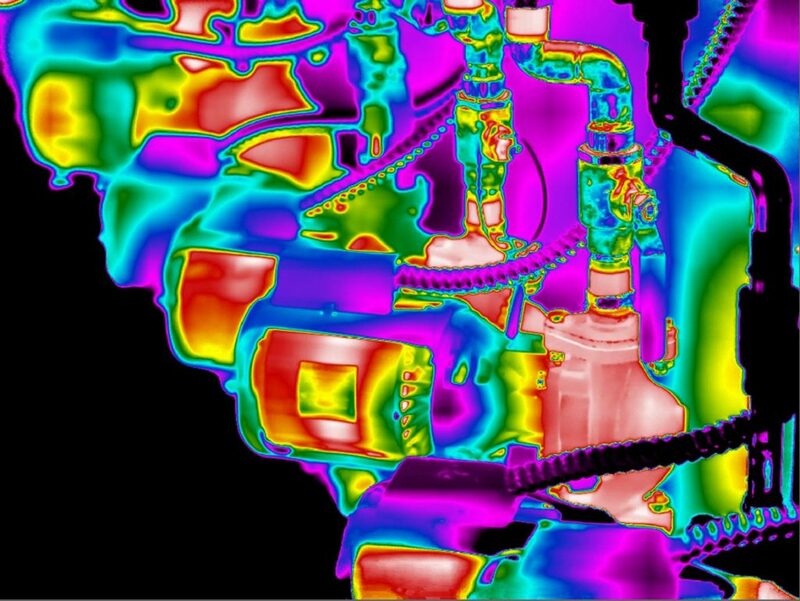 FLIR T1020/36mm (28°HFOV), High Contrast False Color Palette & Aggressive Tuning. High contrast palattes are conventionally assigned to low contrast images or low contrast regions of images during critical assays. Even with rigorous tuning-resulting in some perceptual therapy-actual radiometries are not altered; they are simply displayed more precipitantly, and that is not without its own perils. Graciously, FLIR does provide online camera-specific FOV calculators that include near- and far-DOF, Hyperfocal, and IFOV specs. No CoC parameter is provided. Various Snell’s Law calculators are also available online. DOF limitations are material when collecting aerial data over uneven terrain. Defocus exerts profound influences on IMFOV.